Improved compatibility with Easy Digital Downloads 2.3.x. Added check in to prevent duplicate conversions caused by the new logic added to the latest EDD version. Improved UI. Replaced checkbox for Set Manually header with Select/Deselect all labels. This makes the interface more readable and easier to use. Fixed notice message at checkout. The message appeared after the completion of an order which did not include any tax. 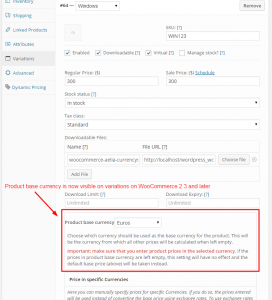 Currency Switcher – “Product base currency” feature is back! 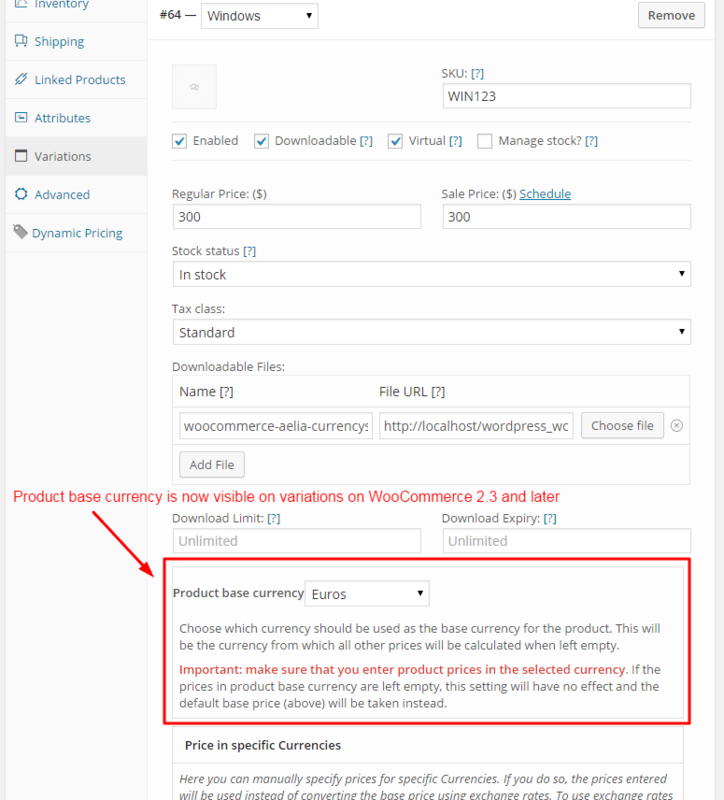 We are happy to inform you that the product base currency feature is now available again for variable products. We were forced to disable it some weeks ago, following the discovery of some limitations in WooCommerce 2.2 and earlier. When we found the issue, we immediately started working on it and we sent a fix to the WooCommerce team on the 23rd of January. The fix was integrated in WooCommerce core, and included in its latest release. 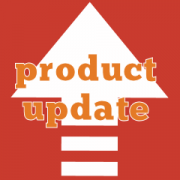 WooCommerce 2.3 received several patches shortly after its release, therefore we decided to wait until the dust settled to re-test the product base currency feature. We completed the tests last week, and we have been able to restore such functionality on sites running WooCommerce 2.3 or later (unfortunately, the WooCommerce team chose not to backport our fix to earlier versions). Enabling the “product base currency” feature on variable products is simple. Just download and install the latest version of the Currency Switcher (it must be version 3.6.21.140227 or later) and make sure that you are running WooCommerce 2.3 or later. You should now see the product base currency feature (see screenshot below). If you still don’t see the feature, it’s probably because your browser has cached the styles that hide it. In such case, simply reload the page using CTRL+F5 and the new user interface will appear. Should you need further information or assistance, please feel free to contact us using our dedicated support portal. Thanks from the whole team for your continued support. 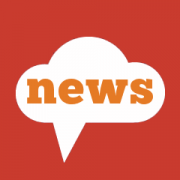 https://aelia.co/wp-content/uploads/2014/08/article-badge-aelia-news.png 240 240 diego https://aelia.co/wp-content/uploads/2014/07/AeliaLogo_201310.png diego2015-03-02 16:26:082015-03-02 16:26:08Currency Switcher - "Product base currency" feature is back! Fixed bug related to subscriptions and payment routing. The bug caused the wrong currency to be used to determine the Braintree merchant account to use during a renewal payment. You should be able to download the updated file using the link you received with your order. If the link doesn’t work, please contact our Support Team to receive the latest version. Thanks.